Discover this fabulous kit full of beading information, inspiration, and essential beading tools. Whether you're a beading beginner or a beading expert, you are sure to fall in love with this excellent collection! Discover these amazing resources hand-picked by the editors you trust. Whether you're an aspiring beader or an avid bead artist, you'll love this package of great resources and supplies! This special collection is full of helpful information and top-notch materials, all hand-picked by your most trusted editors, Jean Campbell and Melinda Barta. First, learn the ins and outs of seed-beading from Dustin Wedekind's Getting Started with Seed Beads. You'll also get loads of information about beading and stringing with helpful tables, charts, and diagrams from The New Beader's Companion. Then, try your hand at some quick and easy beading projects while you break in your essential new tools and supplies. Featuring must-have supplies and step-by-step instruction, you won't want to miss out on the Editor's Favorite Supplies Collection for ONLY $49.99—that's a savings of 51%! 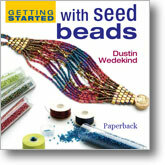 Author Dustin Wedekind takes readers through the process of working with seed beads, from shopping to storing and from stringing to sewing a successful beginning project. This must-have resource includes all the traditional stitches including backstitch, brick stitch, square-stitch, flat and tubular peyote stitch, netting, herringbone stitch, and right-angle weave. 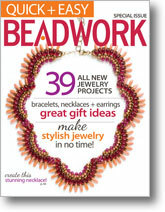 This project-packed special issue of Beadwork magazine features 39 all-new beading projects great for beginner beaders as well as for experts looking for simple, yet striking beading projects they can make in a hurry. Get started by learning seed bead basics then perfect your bead-stitching skills with easy-to-follow patterns in peyote stitch, herringbone stitch, right-angle weave, and more! The Beader's Companion has been an essential tool in every beader's toolbox, now offered in an expanded and updated eBook. No beader will want to be without this excellent resource! The Bead on it Board will soon become your new favorite tool! With a skid-resistant base, a surface specially designed for seed beads, and raised borders to keep beads from wondering off, you will be a happy beader! These beading needles are perfect for bead-stitching and bead embroidery. Their special engineering makes them less likely to split your thread and they pass through Japanese size 15 seed bead with ease. Bonus: This set of four needles comes in a handy carrying case! 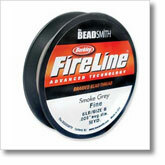 FireLine beading thread is extremely strong! It will even hold up to beads that may have sharp edges at the holes. This braided polyethylene thread is ideal for needle-weaving and bead-stitching. No more frayed ends with this helpful tool! 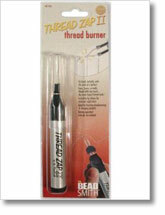 The battery-operated thread zapper heats up instantly to burn the ends of your thread for an excellent finish every time. The fine tip is small enough to get into tight spaces and can be replaced if needed. Don't wait. Claim your kit today!